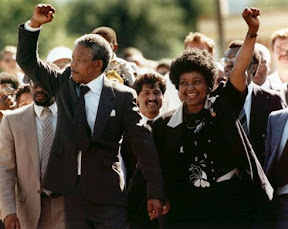 KryptonZone Blog: Happy Birthday, Madiba! Thank you for bringing freedom to our great nation. Thank you for being the spiritual guide and shining beacon of light in these dark political times in SA. Thank you for giving us hope, and still so. Thank you for being the hero that we can all look up to. And, thank you for transforming our nation from one similar to a lepers colony to one which stands tall and proud, shoulder-to-shoulder to other developed and first world nations without shame. May we retun our nation to its original greatness and may those evils clinging to power and destroying all that's good be driven far, far away from the dark continent.